We’d love your help. 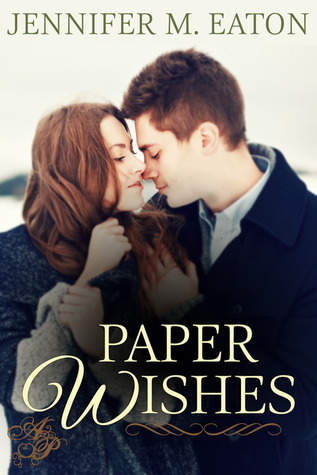 Let us know what’s wrong with this preview of Paper Wishes by Jennifer M. Eaton. A Test of Faith: One day after her Paper Wishes follows Jack and Jill on their journey from friendship to love over Christmas and New Years in two heartwarming stories. To ask other readers questions about Paper Wishes, please sign up. Two fantastic romantic stories all bundled up in a sweet little book. I love these characters, especially Jill's daughter. I could relate to Jill, her insecurities and her fear about taking a step into the unknown. Jack was a pain to me, but he was also endearing. For Jill's sake, I wanted to see things work out for them. Of course we have to wade through the office politics and other roadblocks getting in their way, but I think the kiddo has it all figured out before the adults even get a clue. Two fantastic romantic stories all bundled up in a sweet little book. I love these characters, especially Jill's daughter. I could relate to Jill, her insecurities and her fear about taking a step into the unknown. Jack was a pain to me, but he was also endearing. For Jill's sake, I wanted to see things work out for them. Of course we have to wade through the office politics and other roadblocks getting in their way, but I think the kiddo has it all figured out before the adults even get a clue. Paper Wishes is the first book that I have read by Jennifer M. Eaton and I must say it was well done. This book is a two story set of short stories that tell the tale of love and romance during the holiday season. This was a fun Christmas read that I read in one sitting. I enjoyed the characters and the author included enough back story to help you relate to them all, while making the magic of Christmas and New Year’s make everything seem possible. In this story we meet the lovely, Jill who after Paper Wishes is the first book that I have read by Jennifer M. Eaton and I must say it was well done. This book is a two story set of short stories that tell the tale of love and romance during the holiday season. This was a fun Christmas read that I read in one sitting. I enjoyed the characters and the author included enough back story to help you relate to them all, while making the magic of Christmas and New Year’s make everything seem possible. In this story we meet the lovely, Jill who after a heart break years ago is a single mom that is doing her best to give her daughter a happy and full life. In addition to being a mom, she of course has a job where she works with her trusty friend Jack who is infatuated with one of the women in the office. Together the two of them muddle through disappointment, an office party and the realization that by being friends for so long, they know so much about each other that they have become quite comfortable being in each other’s life. No matter how comfortable they become, they still have to figure out if their new attachment is something that can last or if it will pass on with the end of the holidays. All in all I thought this was a very good book. Might be short for some people, but I really enjoy short stories and novellas that are quick easy reads to enjoy in between larger books. This is a sweet Christmas story and Jill’s daughter and her stars might just have you believing in some Christmas magic when you get to the end of the story. This is a very sweet little romance of two stories bundled together for one great book. It’s also holiday related so it’s a perfect quick, sweet, fun read! There’s two short stories telling you about some romance during the holidays. I loved that even if you’ve never read anything from this author, or know who these characters are, when you read this one, the writing is done so you feel like you already know. :) That means the writing is excellent. It’s very heartwarming, it’s so great to share This is a very sweet little romance of two stories bundled together for one great book. It’s also holiday related so it’s a perfect quick, sweet, fun read! There’s two short stories telling you about some romance during the holidays. It’s very heartwarming, it’s so great to share these. Christmas and New Years are a holiday to spread the love, so why not share it with those you want to. :) Jill had some heartbreaks, is a single mom, and wants to do everything to make her daughter happy. She has to support her and her child, and she happens to work with Jack, who’s her best friend. Jack loves one of the other women in their office. Ummm, I don’t know if I like him. Or I didn’t and then he wised up LOL His little issues made Jill have some self doubting. I think I just wanted Jill to be happy and so if Jack made her happy, then I’ll support her…. Let’s just say that maybe Jill’s daughter is smarter than everyone, and some of those other office people are…. blah. A Test of Faith: One day after her Christmas wish comes true, Jill faces a wrenching choice that tests her deepest beliefs. 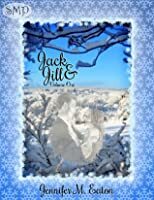 Will love prevail over conviction, Paper Wishes follows Jack and Jill on their journey from friendship to love over Christmas and New Years in two heartwarming stories. This novella is broken into two separate stories about the same couple, Jack and Jill. I enjoyed the read. The characters were dynamic and engaging. It didn't earn five stars because I couldn't fully understand Jill's personality and hesitance. Her thoughts and actions weren't exactly contradictory, but rang false with me. The first half about the paper Christmas stars was wonderful. A perfect holiday story for anyone who likes a little romance with their Christmas spirit. The second story is where This novella is broken into two separate stories about the same couple, Jack and Jill. I enjoyed the read. The characters were dynamic and engaging. The second story is where I got a little lost. Not only did Jill's sudden celibacy fly in out of nowhere, Jack's (over)reaction to it seemed out of character. In the end, they lived happily ever after, but this second portion of the novella didn't have the same meaty feel to it as the first part. Excellent romantic story. Clean, wholesome, sweet, affectionate. Just a beautiful story with a more than satisfying ending, the kind that makes you go 'awww' and maybe even bring on a happy tear or two. I can't recommend it enough. Cute story about Jack and Jill (gotta love those names). I appreciated the moral of the story, and how Jill sticks to her values even when faced with losing out on love. This novella was fun to read with characters that worked their way into my heart. Well done! Jack & Jill, Volume One is a heartwarming holiday romance that will brighten your season. It's a sweet story about friends becoming something more. So if you are looking for a feel-good love story, then this one is for you. We give it 3 Midnight Magic Girls! Two stories about long-term friends whose relationship moves to the next level but not before misunderstandings and third parties threaten to undo their coming together. Throw in a precocious pre-teen daughter and a fun Christmas ritual of turning written wishes into ornaments, and the book offers an enjoyable holiday tale. The writing style is breezy and the pace brisk. I could easily see this as a holiday movie. A fun way to spend an hour or two. Jack and Jill Volume One by Jennifer M. Eaton is a contemporary romance set during the holidays. The holidays, a time when the world hopes for peace and happiness. These hopes are encapsulated in the lives of Jack, Jill, and her daughter Nicole. But within that hope shines important beliefs that should be maintained even if the world thinks otherwise. Therein lies the twist to this contemporary romance. You won’t be disappointed. This book was absolutely wonderful. The author really draws you into the story. I will read more of her books.